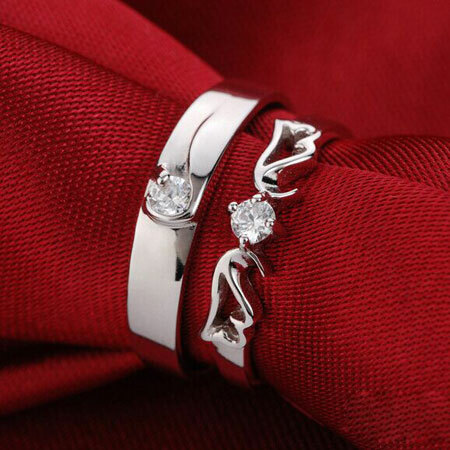 This Sterling Silver Angel Wings Rings are designed for man and women. 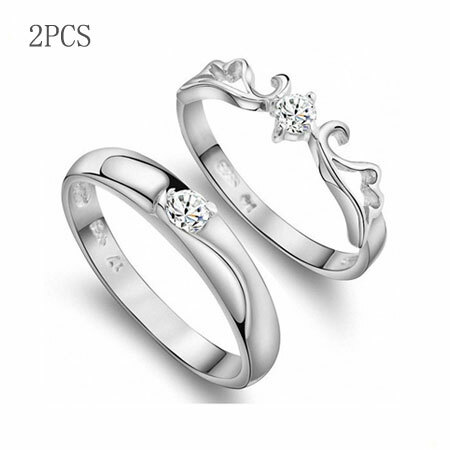 It compose of two wings together and will be perfect as promise rings. 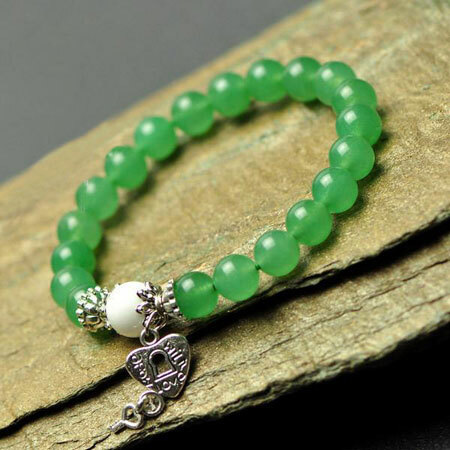 "You are my angel..." They now sold in a pair but at a single price.If you want to buy one separately, you can contact us to adjust the price. 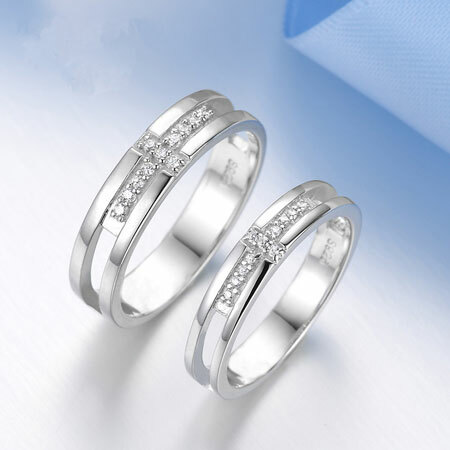 Made of S925 sterling silver, 3 layers of white gold plated, we guarantee the ring set is non-tarnishing, and allergy-proof. A super shining Zircon comes on "Her" ring, perfect setting, dazzling and beautiful. 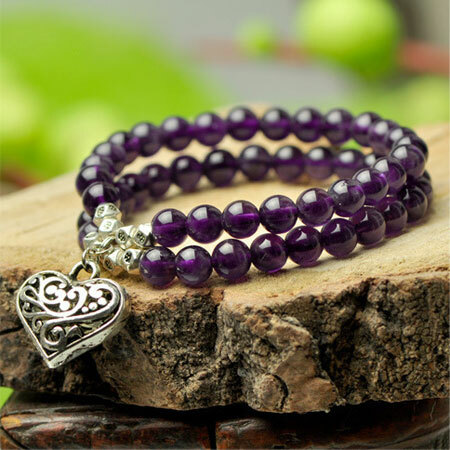 Shipping for jewelery with total amount over $50.00 is free. 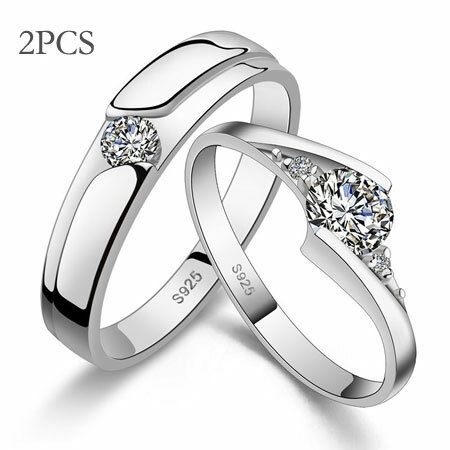 This ring size is fix and not adjustable, please choose the size carefully. 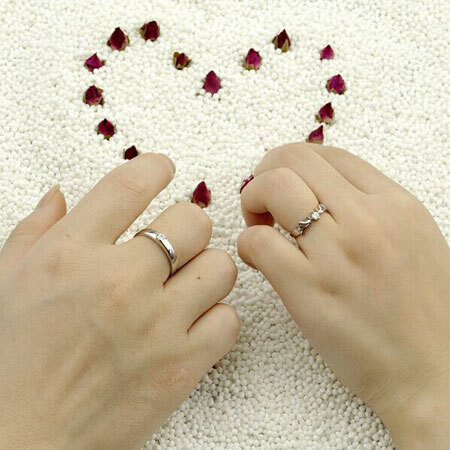 Good promise rings. Would buy from you again. Wonderful transaction.